Santa Claus is coming to town with a sleigh full of gifts. 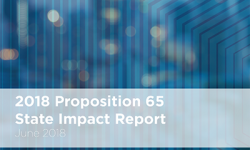 Unfortunately for Santa (and gift givers everywhere), a California law known as Proposition 65 requires any item containing one of the over 800 substances “known to the state of California to cause cancer” or reproductive issues to bear a warning label. 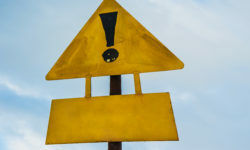 The list of products requiring a warning label under California law is endless: coffee, sunglasses, lamps, cookware, seat cushions, luggage, sneakers, fishing lures, musical instruments, etc. 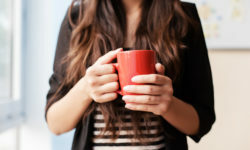 Manufacturing or selling these products without a warning label means anyone can sue a business and extract thousands of dollars in settlement payments and attorney’s fees. In 2014 alone, these so-called “bounty hunters” collected over $29 million in settlement payments from businesses—71 percent of the total ($21 million) went to attorney’s fees. 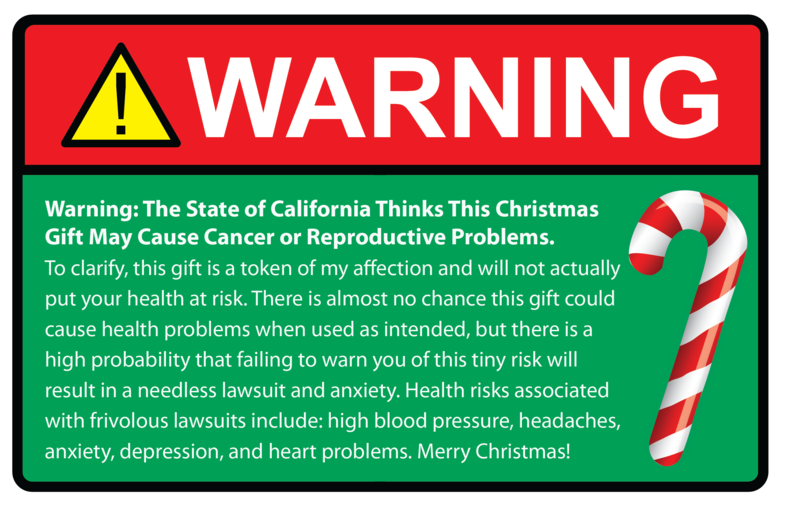 Though you shouldn’t be worried the gifts you purchase for loved ones pose any health risks, Santa’s elves are hard at work notifying Californians under the state’s silly law. (The North Pole simply doesn’t have the resources to fight thousands of lawsuits.) 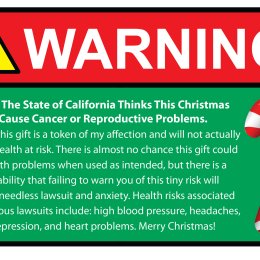 We encourage all gift givers to follow Santa’s lead and protect themselves from lawsuits with our humorous Proposition 65 Christmas Gift warning label. How Much Money Did Your State Lose to California’s Cancer Labeling Law? Read the Report.